Teaching for Change created “Resistance 101” to help young people move from dismay to creative action that can win real change. This innovative lesson plan, launched in January 2017 to coincide with the inauguration, helps students recognize their power to challenge injustice. The lesson introduces them to people throughout history, including many young people, who fought for social justice and civic change using a range of strategies. 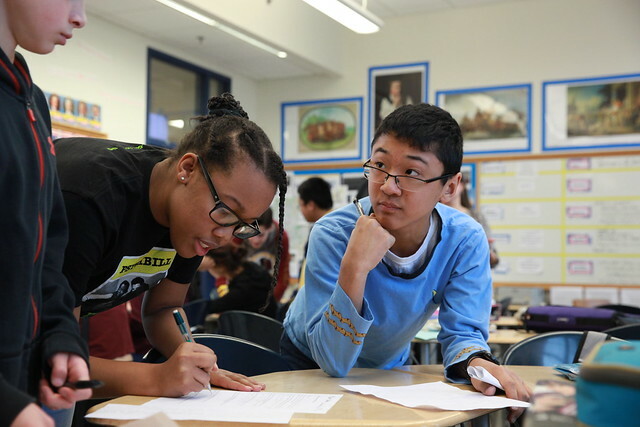 Students must learn to think critically about our nation’s history and learn the lessons of social movements to make this a more just society. The master narrative of social movements being won by individual heroes and large demonstrations won’t serve young people well. Have you used this lesson? Please send us your feedback and we will send you a free book! It is important to note, and to point out to students, that this list represents just a small sample of the people, time periods, struggles, and strategies we could have included. It is our hope that students not only choose to learn more about the people featured in this lesson, but that they also research and create more bios. In fact, students could create a similar lesson with activists in their community, youth activists, environmental activists, and many more. This lesson can make participants aware of how many more activists there are than just the few heroes highlighted in textbooks, children’s books, and the media. The lesson provides only a brief introduction to the lives of the people profiled. In order to facilitate learning more, we limited our list to people whose work has been well enough documented that students can find more in books and/or online. There are also dozens of lessons to draw on from the Zinn Education Project website. In particular, check out the lessons highlighted in Teaching After the Election of Trump. Most of these lessons were developed by Rethinking Schools. If you use the Resistance 101 lesson, we would love to receive your feedback, suggested edits, and photographs. Send us an email.